Announcing the Winners of Crochet Summer Crochet Something 2018! We had so many fantastic entries, and we want to thank everyone who played along. • Best Home Decor (afghan, pillow, tea cozy, bathmat, etc. The runners up were Kehinde Knits' crocheted cable(!) sweater, Karen Peacock's crocheted sampler sweater, and meeCrochet's beautiful and ethereal mohair lace shrug. And the winner of the BEST GARMENT category is Karen Peacock! Congratulations, Karen. 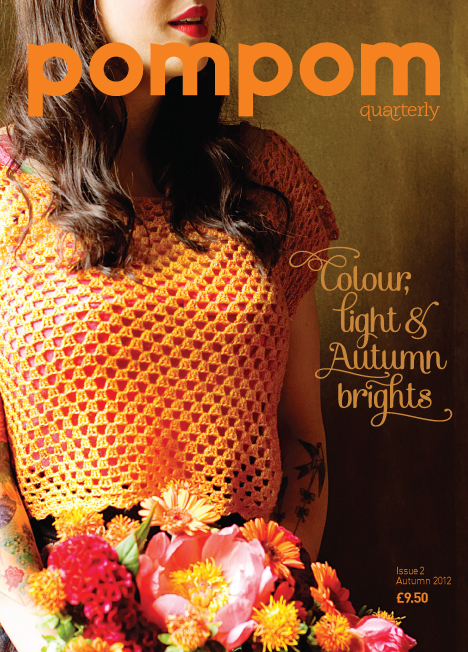 You have won a set of Pompom Quarterly issues featuring crochet and some fun PPQ merchandise! Thank you to the wonderful folks at Pompom Quarterly for donating such a great prize! And thank you to our lovely runners up! Wonderful work, everyone! All our judges were in agreement on this one, and the winner is Angela G, whose first amigurumi stole our hearts! 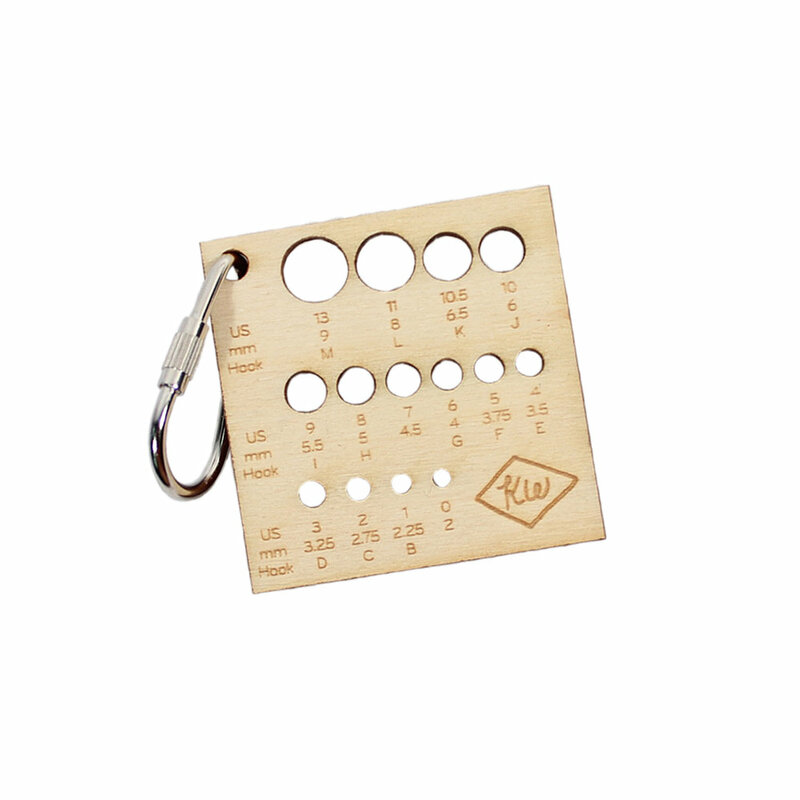 Angela wins a set of Brittany birch wood crochet hooks (sizes D-J) and a Soak travel sized assorted 5-pack. This set includes 1 each of the popular Soak scents Celebration, Fig, Lacey, Pineapple Grove and Yuzu. It came down to a battle between two of Heidi Quick's whimsical creations and Leah McGlone's contributory square to an amazing crocheted mural for the Marian Anderson Rec Center in Philadelphia. And Leah takes the win! Check out her post to learn more about this totally inspiring crocheted mural organized by Love Across the USA. 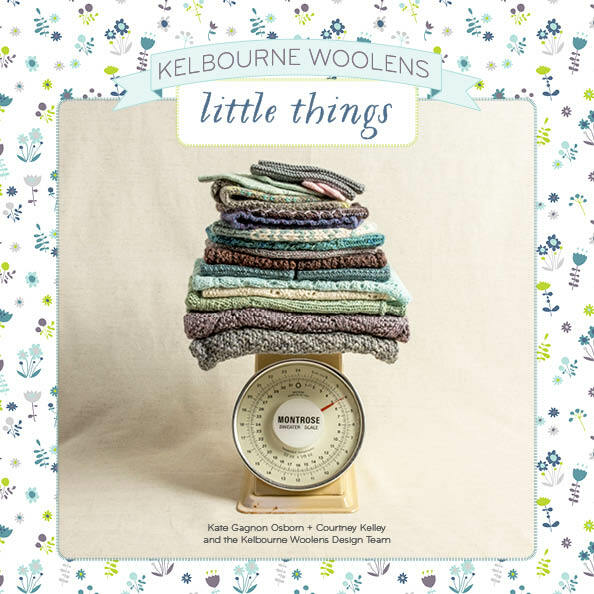 Thank you to Knit Collage for providing the prize for this category! The Hibiscus Moon Shawl is wearable work of art! There was no contest for this category. Linette nailed it! Linette crocheted a cool-as-heck spare tire cover for her new Jeep. It's so freaking cute! Congratulations, Linette! We're so happy you were inspired to crochet something this summer! And thank you to to our judge Sara Dudek, editor of Interweave Crochet, for the prize for the Best Doily category - a year's subscription to Interweave Crochet! Constance Oakes and Juanita were both in the running to take the win for this category. Contstance's granny square blanket and Juanita's Kawung Motif cushion both impressed our judges. But Juanita's pillow took the win! We all loved the composition of this piece, and the design by Atty van Norel is just so cool! Juanita wins a kit from judges Kay and Ann of Mason Dixon Knitting for the Station Wagon Blanket! Thank you for your participation, ladies! It's been fun crocheting with you and your readers this summer. This category was a lot of fun, and again, we were all in agreement. There really was only one category that this creation could have fit into, and it definitely needed to win. 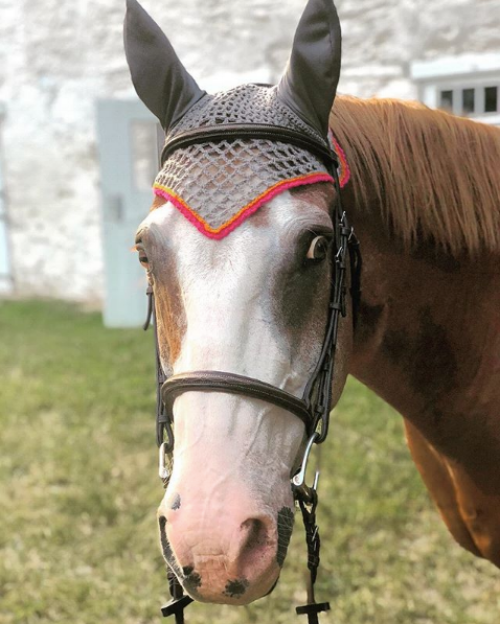 Jocelyn Tunney, owner of O-wool, crocheted a fly bonnet for her horse! We are so happy that our contest inspired her to pull out her crochet hook and make something truly...special? Hahaha! Well done, Jocelyn. 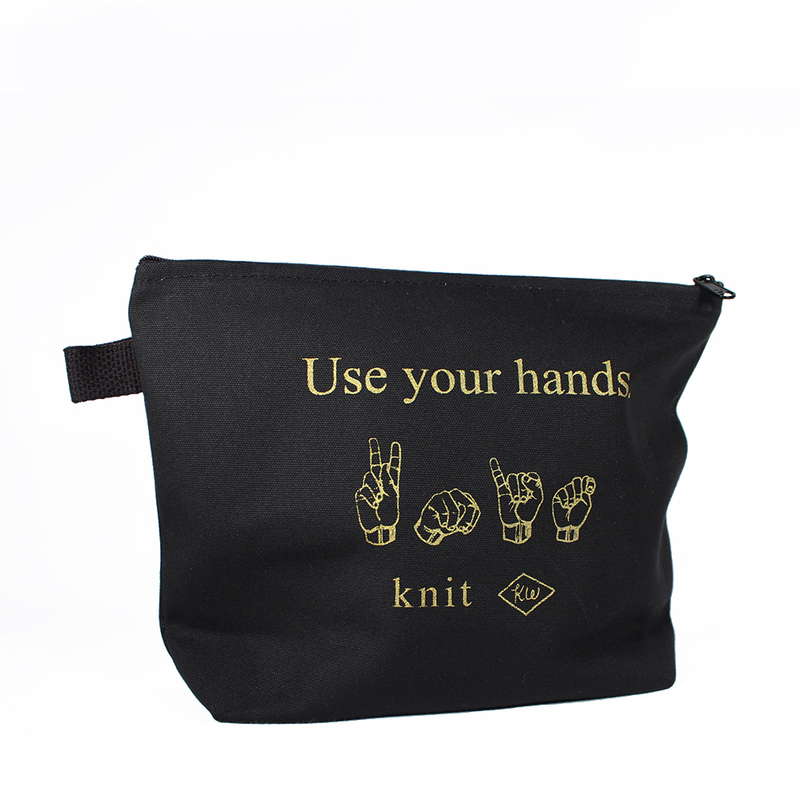 Jocelyn wins a kit to make the Boxy Tee, including our very own Scout yarn and a KW Anniversary Tote bag! Thank you again to everyone who participated and made this year's Crochet Summer a blast! We will see you next summer. Now, on to fall knitting! Our Crochet Summer has come to an end, and this coming Friday we'll be announcing the winners of our Crochet Something Contest. There were so many fantastic entries it will be hard for us to choose! We want to thank everyone who participated in Crochet Summer again this year. You guys are awesome. You can view all of the entries here. Let's take a look at a few things you crocheted! @teiacollier is a woman after my own heart sitting in the school pick-up line and crocheting. Idle hands are the devil's workshop! Knitwear designer (and fellow Capricorn!) Bonnie Sennott can always be counted upon to participate in Crochet Summer. I've loved watching her lovely blue shawl come to life this summer! Our pal Karen Peacock really blew us away with her crochet sampler sweater! It truly is a work of art. Well done, Karen! Okay, you guys. This. This is everything. Crocheter Heidi Quick crochets keepsake dog (and cat) pillows! I'm smitten. Can I order one? And why not crochet a fly bonnet for a horse? It's lovely! Jocelyn Tunney at O-wool designed and made this nifty and practical bonnet for her horse, and I think she may have to start a side business. Beep, beep! Linette's got the keys to the Jeep. Vroooooom! Our very own Meghan Kelly is working on this awesome granny square using Mojave, but I think she's put it away until next summer! Thanks again to everyone who participated and made Crochet Summer AWESOME. Stay tuned on Friday when we will announce the winners of Crochet Summer Crochet Something Contest 2018! Looking for more Crochet Summer? 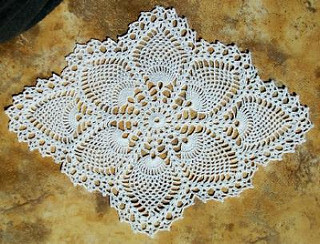 Crochet Something Contest: Best Doily! I love them so much that I gave them their very own Crochet Summer Crochet Something Contest category! I think they are what really, honestly, led me into the craft world. 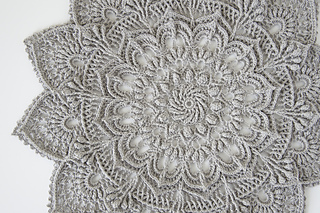 My grandmother had some amazing doilies in her apartment that she, her mother, and her sisters had made over the years and I was mesmerized by their intricate and lacy twists and turns. They were eternally feminine, yet endlessly practical. They were the catalyst that led me to insist my grandmother teach me to crochet, though she was a hesitant and terrible teacher. 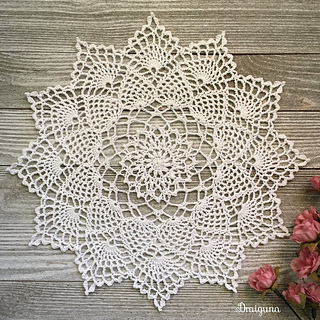 Follow this Ravelry link to look at pages and pages of the best of modern doily crocheting, including the designs above by Grace Fearon, Julia Hart, Viktoriia Gul, Johanna Lindahl, Zoya Matyushenko, Lynn Koultas, and Olga Poltava. AND I THINK THAT'S JUST GREAT! 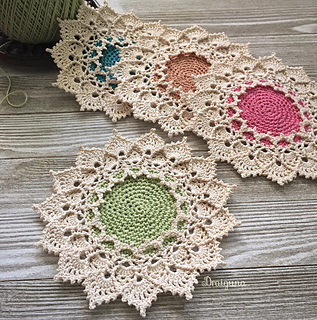 Do you have a love of doilies as well? Share your story in the comments! THE CROCHET SUMMER CROCHET SOMETHING CONTEST! This non-competitive contest is a great opportunity to spend the summer trying something new, or finally challenging yourself to make that thing you’ve always wanted to make. This feel-good contest is meant to be a fun way to gather more people to the craft of crochet. Each category will have one winner, with many superlative-laden runners up. EVERYONE is a winner with Crochet Summer! Post your entry on Instagram by August 31st with the hashtag #crochetsomethingcontest2018 and you could WIN! Announcing the Crochet Summer, Crochet Something Contest! We're Kicking Off Crochet Summer 2018!